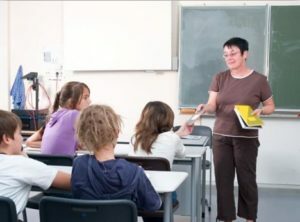 The impetus behind the development of common core standards was threefold: to hold schools responsible for fewer curricular objectives but taught in depth and mastered by students; to increase challenge and ensure that students were engaged in a rigorous curriculum; and to assure some uniformity of quality among states’ curricula and assessments. The standards hold the potential to improve student achievement but on their own will not accomplish that purpose. I believe two essential ingredients are not receiving sufficient attention. These are instructional pedagogy and principal leadership for instructional improvement. Addresses the diverse learning needs of students. Provides sufficient support for students to meet more rigorous standards. Differentiates across key variables like time, difficulty of materials, instructional methods and means of assessment. Engages students in tasks that have interest, value and meaning for them, and that advance their understanding of important concepts. Establishes regular classroom routines that provide students with a sense of structure and with well understood processes for individual, group and whole class learning. The current conversation about Common Core Standards focuses mostly on curriculum alignment or mapping, and also on anticipating the kinds of assessments that will be used to measure student achievement. That missing step, instruction, must be at the forefront of these conversations for the standards to make a difference in student learning. Moreover, the principal is a primary player in fostering effective pedagogy as described above. In addition to providing time for teachers to map their curriculum against the new standards, teachers also need opportunity to plan collaboratively the kinds of instructional practices that will make the standards come alive for students and will promote mastery of new learning. Principal actions can include: setting expectations for instructional practices; observing classes and providing individual and whole faculty feedback on use of these practices; making high quality professional development available and weaving teachers’ new learning into faculty meetings, work sessions, professional learning community/cadre meetings, and performance evaluation; participating with teachers in professional development and being knowledgeable about the practices; collecting data on the impact of classroom practices in conjunction with implementation of the standards; and, highlighting successful teaching in parent, community and student forums. The emphasis on instructional pedagogy and principal leadership, with the adoption of intentional practices that support the new standards, can lead to sustainability of reform efforts. This entry was posted in Blog and tagged Common Core Standards, Instruction, leadership, professional development. Bookmark the permalink.